ONE PAIR OF GLASSES IS NOT ENOUGH TO HELP YOU SEE ALL OF LIFE'S MOMENTS PERFECTLY. 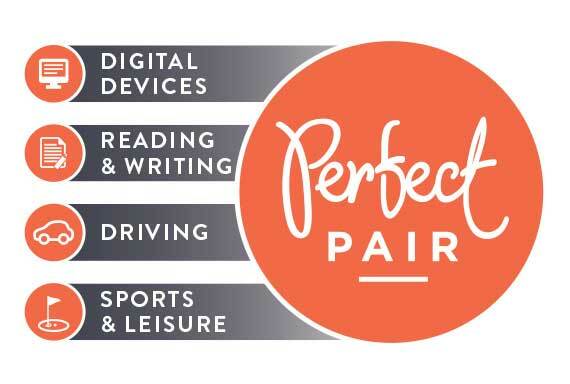 ALONG WITH ESSILOR WE HAVE CREATED THE PERFECT PAIR. Having the right lenses will help you enjoy all the activities in your life. 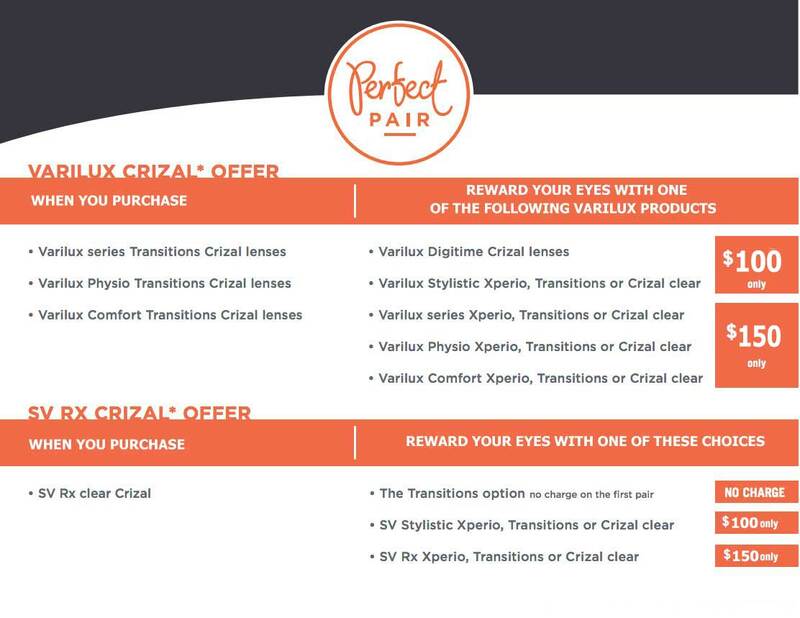 Allow PERFECT PAIR to reward you with the vision you deserve. You may have felt tired, suffered from dry or itching eyes and even had shoulder and neck pain. 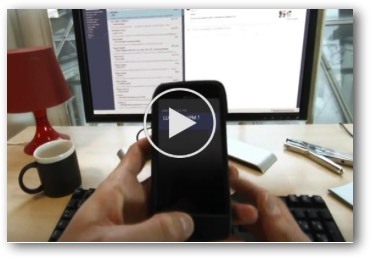 When we look at screens from digital devices, our eyes have to focus more intensively and repeatedly and also have to put up with screen glare and harmful Blue-Violet light. UV rays, glare and eye fatigue are challenges our eyes face daily. 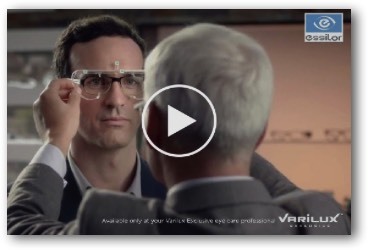 Wearing Transitions® lenses, which adapt to changing light, can help you protect your eyes from all three challenges. 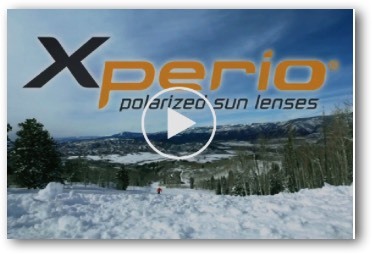 For extra protection outdoors and even in the car: Transitions® XTRActive® lenses. 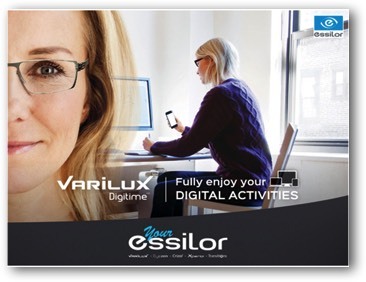 Transitions® Signature™ lenses For lenses with variable polarization depending on brightness: Transitions®Vantage™ lenses. Now all available in a variety of colours: grey, brown and graphite green, according to products. 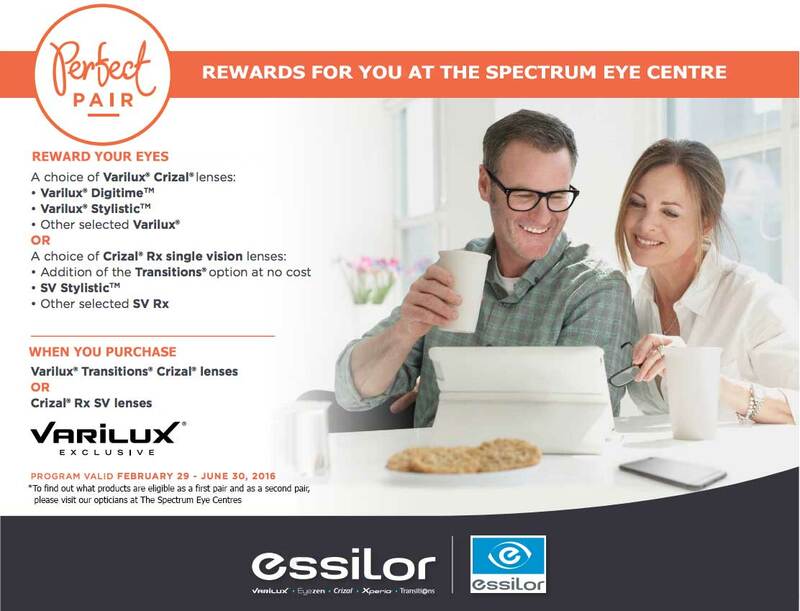 See life in the best light with Transitions® adaptive lenses. the most complete protection against the enemies of clear vision : glare, scratches, smudges, dust and water. 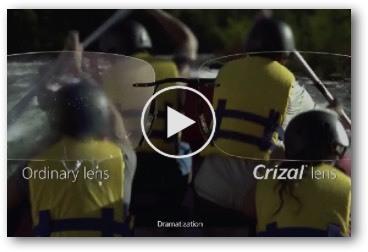 All Crizal lenses provide complete protection from UV rays, whether transmitted through the front of the lens or reflected from the back of the lens, as confirmed by the E-SPF™ 25 index. E-SPF™ (Eye-Sun protection factor) is a new index developed by Essilor certifying the overall UV protection provided by a lens. Available in your prescription and in high wrap sport frames or large fashion frames. Only Crizal® Sun UV™ with E-SPF™ 50+ provides you with the most complete protection under the sun.